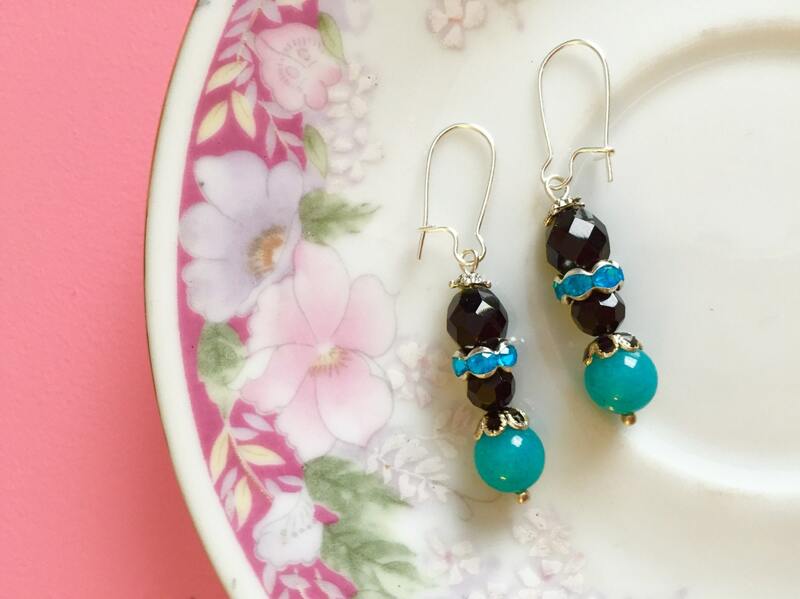 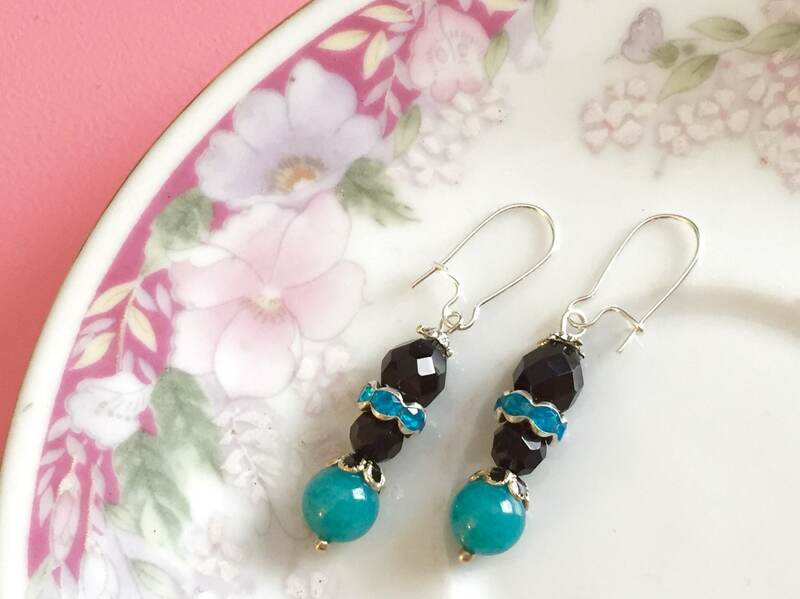 I made these pretty beaded earrings with black faceted czech glass beads, rhinestone beads, turquoise glass beads, and unique enameled metal flower bead caps, along with silver findings and stainless surgical steel ear wires. 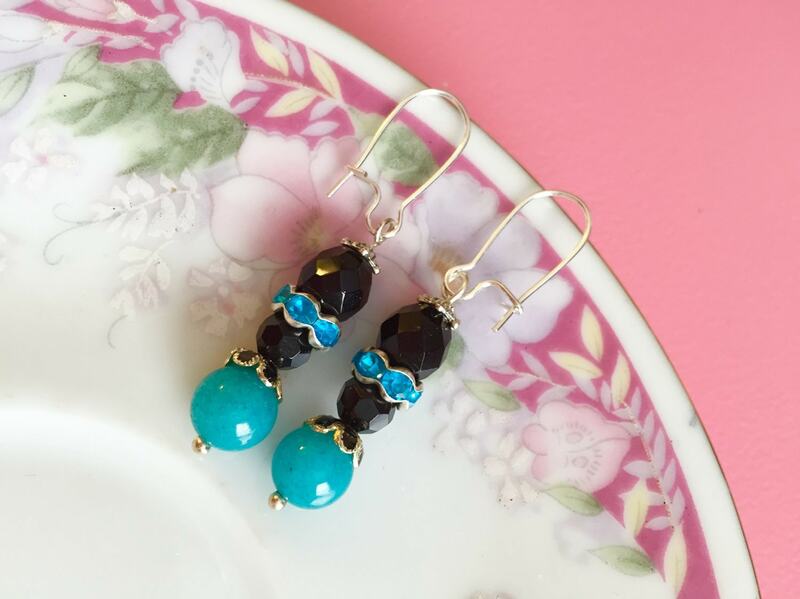 You are purchasing the earrings shown. 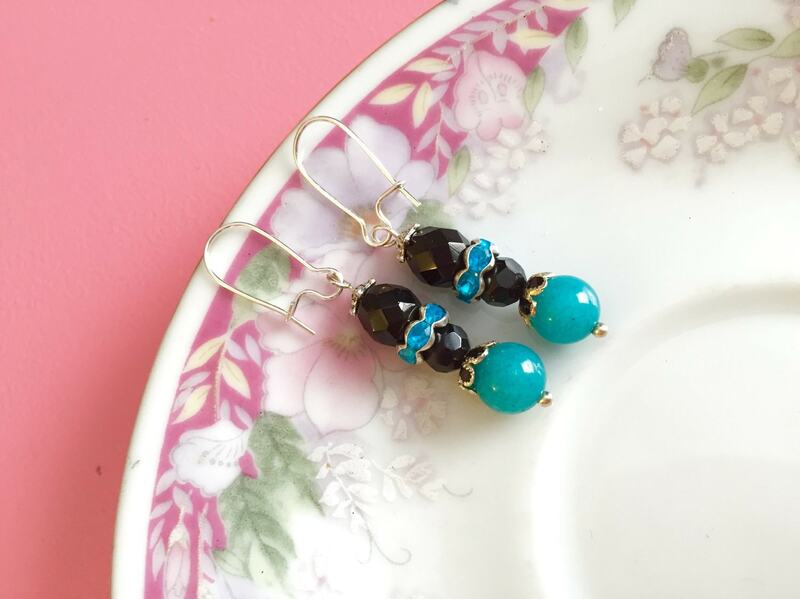 They dangle about 2 inches (5cm) from the top of the ear wire to the bottom.